The Composition Program in the Department of English hosts an annual writing competition for all students enrolled in first-year writing courses (ENG 105, 106, 107, or 208). 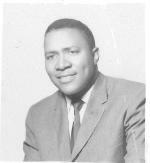 The contest is endowed by the family of Professor Audley M. Webster who taught composition courses and mentored scores of students at the University of Miami. Essay entries submitted correspond to an assignment from one of the first-year writing courses, and they demonstrate a range of skillful and engaging writing produced by Composition students every semester. Below are collections of some of the winning essays.